Susan Thornton provides the Hughes & Stuart team with award-winning technical writing and editing skills. With a master’s degree from UCLA in Journalism, Susan is an experienced writer having served on the L.A. News Bureau staff of U.S. News & World Report for four years, and later was a stringer for Time and Money magazines. Susan also wrote a biweekly opinion column for the Denver Post from 2004-2012. 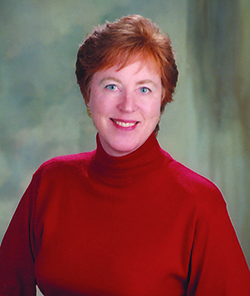 Susan served on the Littleton City Council for 16 years (1987-2003), serving eight of those years as mayor and four years as mayor pro tem, until she was term limited. Susan is very familiar with water and wastewater issues, having approved controversial expansions of the Littleton-Englewood Wastewater Treatment Plant while the Mayor of Littleton. •	She was the mayor when Littleton and cities across the U.S. were caught up in Superfund issues and faced billions of dollars in costs. Susan took the issue to the National League of Cities, where other elected officials joined her in a national coalition opposing costs for cities that contributed to Superfund sites that had been contaminated by others. •	She was the sole municipal representative on the National Commission on Superfund, which advised Congress on CERCLA re-authorization. Susan holds 22 state and national awards for her professional accomplishments, including a Visionary Leadership Award from the University of Colorado Health Science Center and two distinguished leadership awards from the Denver Regional Council of Governments.